Saturation, noun. 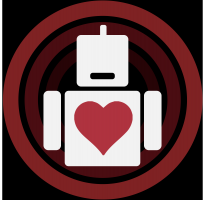 Definition: to a very full extent, beyond the point regarded as necessary or desirable. It’s perhaps the perfect word to describe what is happening to the Star Wars series under the guide of Disney; Solo: A Star Wars Story the latest installment in the now seemingly never-ending franchise suffers from the fact that it exists simply because it could be made, not because it should have been made. It would be unfair to say this origin story of the beloved Han Solo isn’t intriguing and fun in concept, and for a good portion of its runtime, it is genuinely good at being light entertainment perfect with popcorn. Yet for all its visual thrills and backstory exposition, Solo provides audiences with nothing even remotely new to be excited about (with the exception of a special cameo at the end). Sure it fills in the blanks for some of the questions we may have had about the formative years of everyone’s favorite scoundrel, but it does it in a way that’s not particularly original or that gripping. In many ways, the story gives off the feeling of being overly contrived, but perhaps there really was no other way. Since the character’s debut in 1977 fans have learned much about Han’s history so this film doesn’t as much as inform, as dramatize events we already knew about. It was well known (amongst close followers) he won the Millenium Falcon in a card game against Lando Calrissian, that he made the Kessel Run in 12 parsecs, befriended Chewbacca and became a celebrated pilot. What this movie does is then simply act out these stories we had only heard of in the past with results we all know must happen. But these were for so long stories that each of us could have imagined and fleshed out in our own minds, and now that these mythical legends of Han’s history are shown to us it seems less iconic. As in the Prequel trilogy where audiences knew that certain events had to occur (Anakin’s turn to the dark side, the rise of the Empire, etc. ), here we too are left without some surprises because of what we know of the later Han Solo. The title character, as well as Chewbacca and Lando, can never really be in any danger which makes the story lose suspense or a sense of doom, especially during the key Kessel Run sequences. 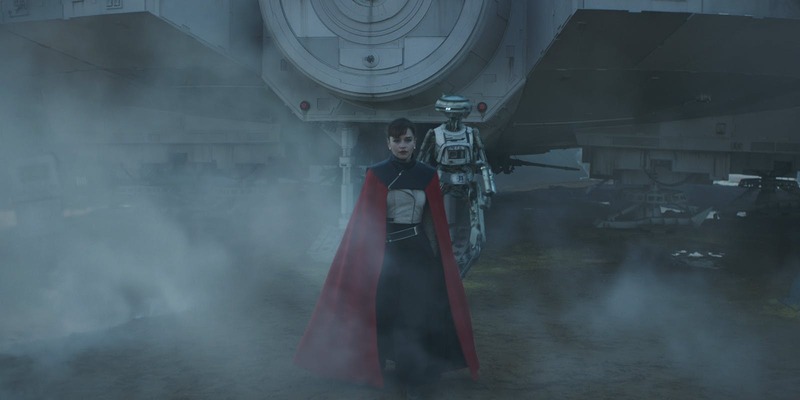 Sure the future of other characters like Qi’ra (Emilia Clarke) and Beckett (Woody Harrelson) aren’t known to us, but they are never portrayed as anything more than secondary in importance. The movie becomes more of an outtake of the original films than an adventure we really needed to see; this isn’t to say there isn’t a future for alternative Star Wars stories (Rogue One for instance) but Solo is simply not an alternative story. It’s an added chapter to an already increasingly bloated franchise that Disney seems to have no intention of stopping any time soon. While the feeling of saturation has certainly been felt for this critic, it’s obvious that new stories will be the only way to keep this galaxy fresh in any way. With this Han Solo “biopic” we’re presented with more of the same, with stakes that lead nowhere. Are we to expect a film on the teenage years of Princess Leia on Alderaan or Luke growing up on the homestead? These origin stories (with Boba Fett and Obi-Wan films purportedly in the works) are being made for monetary reasons and nothing but; there’s really no narrative reason to delve into these histories other than capitalizing on nostalgia and producing MORE STAR WARS! YAY! But when is enough, enough? 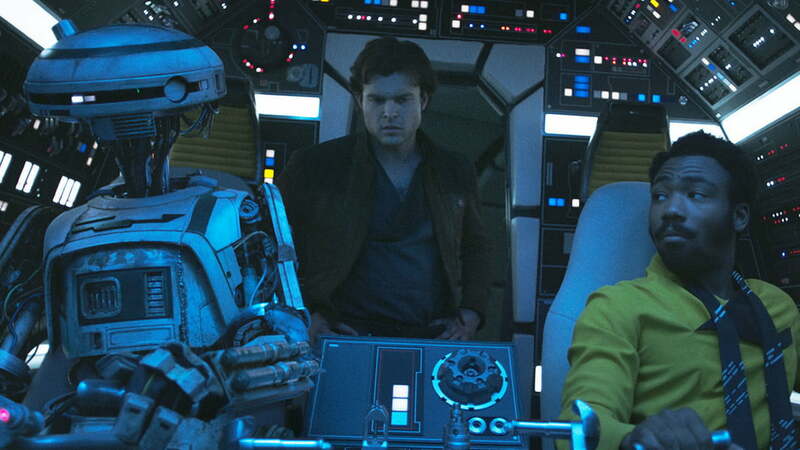 Though the story heads in obvious directions, Solo’s cast does a good job and work well together to create fun on screen (even if it is predictable). Alden Ehrenreich. 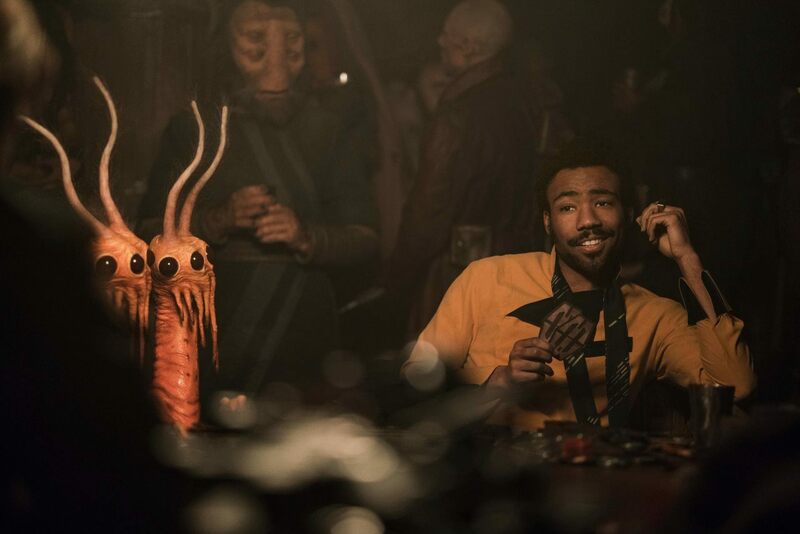 Donald Glover and Woody Harrelson create intriguing personas, while Ehrenreich and Glover particularly play their roles with great respect and restraint; they are not here to show off against Harrison Ford or Billy Dee Williams but rather create nice tributes to the characters made famous by the veteran actors. The visuals are good, the aliens are exotic and the trademark “used universe” look of Star Wars is captured well. Conversely, however, the visuals, the aliens, and the used universe are not any more special than other Star Wars films and thus again the critique of unoriginality arises. This is ultimately the greatest problem with Solo (and presumably other stand-alone origin movies); it cannot be original, thrilling in any really new way and will be inherently unnecessary. The existence of this movie is not because we needed to know more about Han Solo, but because attaching the Star Wars name to any film will inevitably lead to a healthy box office return. But for how long? Solo: A Star Wars Story is not poorly made and should be recognized as acceptably good escapist cinema, but its place in the larger Star Wars canon is but an unnecessary chapter that is sadly contributing to an overkill of George Lucas’s original creation. Thus the reality of the current cycle of Disney acquired franchises; new Star Wars movies will definitely make money but at some point must we ask ourselves to what extent should we be willing to let cinematic quality decline for the sake of the almighty dollar?